Richard Askwith wanted more. Not convinced running had to be all about pounding pavements, buying fancy kit and racking up extreme challenges, he looked for ways to liberate himself. His solution: running through muddy fields and up rocky fells, running with his dog at dawn, running because he's being (voluntarily) chased by a pack of bloodhounds, running to get hopelessly, enjoyably lost, running fast for the sheer thrill of it. Running as nature intended. Part diary of a year running through the Northamptonshire countryside, part exploration of why we love to run without limits, Running Free is an eloquent and inspiring account of running in a forgotten, rural way, observing wildlife and celebrating the joys of nature. 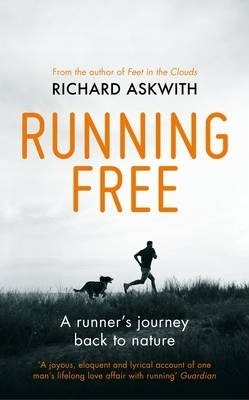 An opponent of the commercialisation of running, Askwith offers a welcome alternative, with practical tips (learned the hard way) on how to both start and keep running naturally - from thawing frozen toes to avoiding a stampede when crossing a field of cows. Running Free is about getting back to the basics of why we love to run. Richard Askwith has been a journalist for more than 35 years. For the past 15 years he has been Associate Editor of the Independent. His first book, Feet in the Clouds, won Best New Writer at the British Sports Book Awards and the Bill Rollinson Prize for Landscape and Tradition. It was shortlisted for the William Hill and Boardman-Tasker prizes and was named by Runner's World as one of the three best running books of all time. His 2014 book, Running Free, was short-listed for the Thwaites-Wainwright Prize. "A much needed breath of fresh air"